Kenyans watched in horror as more pictures of the suffering due to famine in Turkana appeared online. Anger, sorrow and confusion mixed to create a hostile environment for Kenya's leaders (especially those from the county). Daily Updates quotes a source that believes it is all intentional. Famine is extreme scarcity of food. 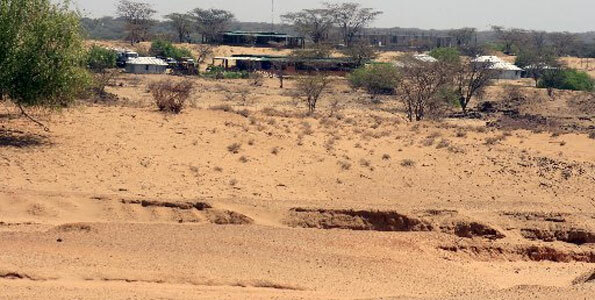 While the Northern Frontier counties are categorized as arid and semi arid, government claims to balance out the hardship by dishing out bigger budgets. If this is so, how do people still die of hunger? It is expected that as soon as residents report extreme scarcity of food, the government through chiefs and sub chiefs will give out relief food. This is at least the most sensible thing to do. This clearly did not happen. Just had a phone conversation with my dad & we discussed the Turkana famine. His opening words were... "Famine is business, famine is politics. This was not unforeseen." I am still unpacking that cause it is heavy. -There's no way a country that produces more than enough to feed itself every year will have people starving to death without it being by design. -There's also no way a country with as much water as we do will have dry taps in its urban areas without that also being by design. I know people who were bragging about how much money they made from relief food in EMBU County as a reward for their support in the elections, because 'it's the one tender that is awarded without any questions'. Through these tweets, we see a pattern of suggestions that show the famine is intentional. Someone somewhere gave out fake seed, or did not complete the irrigation project in time or even stole the relief food and sold it. So far, the county has reported nine deaths resulting from the famine.